What if dyslexia were just a little obstacle, and not a big mountain? What if that obstacle could be erased quickly and without pain? And what if your child’s dyslexia treatment was all natural, without using drugs or invasive treatments? Dyslexia can be reversed, and the boulders that keep your child from learning can be removed. Yes, you heard me right. The obstacles can be removed gently, without pain and relatively quickly. Does it sound like a miracle? Is that too good to be true? I assure you it’s possible, and I see it every day. 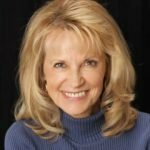 As a dyslexia specialist, I’ve been helping remove obstacles from kids’ learning potential for 25 years. 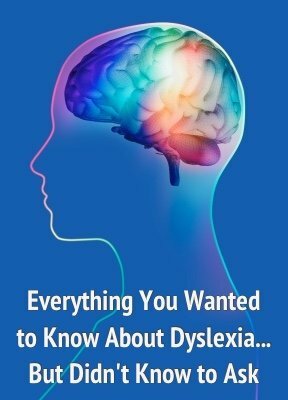 Books Neural Therapy™ (BNT) gets to the bottom of dyslexia and fixes the glitches in the brain and central nervous system that cause dyslexia and related learning challenges such as ADHD, dysgraphia, and dyscalculia. During a typical BNT treatment program, your child will be assessed and treated for the emotional, structural, chemical, and neurological factors that contribute to dyslexia. All parts of the central nervous system and brain involved in movement and learning are addressed. For the structural and neurological factors, your child is treated in a sequential series of corrections. While some emotional issues can be treated at the same time, others will be referred for appropriate therapies. Your child’s chemical issues and needs are assessed at the start of treatment and again periodically. Testing for heavy metals, allergies, and neurotransmitter levels will be performed and if necessary, treated or referred for treatment. Nutrition will be discussed, and allergy desensitization may be part of regular sessions. Once your child’s body discovers its optimal function, it wants to stay there. Changes hold indefinitely after treatment. According to the surveys I’ve done with former clients, more than 85 percent reported their changes were still holding, even years later. So while BNT is most often used to treat dyslexia naturally, it can be applied to any age to reach new levels in sports, performance, and creative endeavors. I love my job. I get to see kids’ eyes light up and their pilot light get lit from the inside. It’s a glorious sight. And I’d love to help your child rediscover the fun in learning. Dyslexia is reversible. Not just for someone else, but for you and your child! Wouldn’t you love to give your child the gift of learning easily and effortlessly? Even though she didn’t learn easily before, that doesn’t mean she can’t change. Quite the contrary. You’ll be amazed—and relieved—when you see your child rekindle the joy of learning. If you’d like to find out more about BNT and how it can help your child, call me at 512-331-0668 to schedule a consultation. Peer into a lit fireplace and imagine the same glow coming from behind your child’s eyes…once he is reading and learning effortlessly. Please contact me so we can start turning your child’s life on. And if you’d like to see video discussing dyslexia in more detail, see my YouTube talk.